The performance of any shopping centre is highly dependent on visitor traffic. Measuring the traffic is therefore an essential key performance indicator for shopping mall operators wanting to increase operational effectiveness and improve leasing strategies. While most centres have been using some level of visitor counting, the analysis of the results has often been time consuming and accuracy sometimes doubtful. In the past sensors have been of either the break-beam variety or thermal / heat sensing type, both of which have limitations and lack the sophistication and accuracy of the latest video based sensor systems. Break-beam sensors can be easily blocked by displays can only count a limited flow of visitors and can often double-count loaded shopping trolleys as visitors. Thermal sensors provide reasonably accurate thermal image counting but cannot recognise children / adult / group differences or report on them separately. 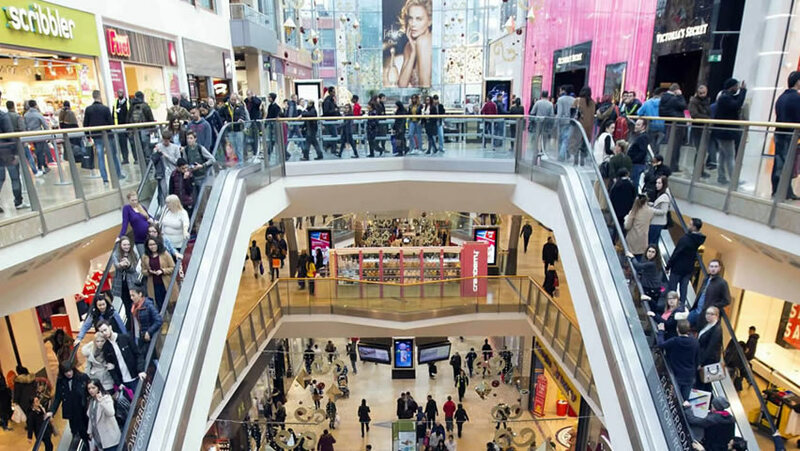 The value of shopping centre visitor counting is only as good as the reporting and analysis systems used, which convert the raw sensor counting data into useable reports that provide management information quickly and clearly. In the past this involved the transfer of the data to excel spreadsheets and then to bar charts, graphs etc. Often this meant that data was typically ancient history by the time it was reviewed by senior managers. Progressive Shopping Centres, Retailers and even City Councils are now using people counting systems that use high quality video sensors linked with cloud based reporting and analysis systems. These provide real time count reporting direct to Manager’s smart phones, tablets and PC’s. Analysis systems and reports are generated automatically to provide daily, weekly, monthly results and historical comparisons. They can even link into a retailer’s point of sale system to provide average sales per store visit indicating the effectiveness of sale staff in converting store visits to customers. Video based counters can be set up to give separate counts for adults and children as well as counting the number of couples and family groups if required. Managers can literally have hands-on control and real time results and graphs shown on their smartphone or tablet, no matter where they are in Australia or the World. It is important to note that the video counting sensors are not security cameras and do not record images, they simply use a sophisticated level of video based technology that tracks and counts peoples movement patterns and translates these into accurate counts and reports. It is not possible to count people using security cameras. Retailers based within the shopping centre are able to link into the centre’s counting system. With their own shop based counting sensors they are able to compare their customer traffic flows with those of the shopping centre to measure the pulling power of their advertising and window displays. HOT-SPOT tracking is also available to enable centre managers to track visitor movement around the centre and isolate hot and cold activity spots for potential management action. Leading national people, visitor and member counting organisation Cohera-Tech based in Brisbane have a range of leading edge counting sensors from the most sophisticated 3D video units to specialist counting systems for counting cars and bicycles. Cohera-Tech also install and support the latest reporting software used in major shopping centres and international airports throughout Europe which can be integrated with shop / tenant systems for an unrivaled performance measuring system.